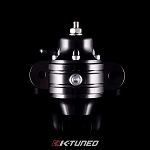 K Tuned has designed a Fuel Pressure Regulator specifically for K series engine needs. 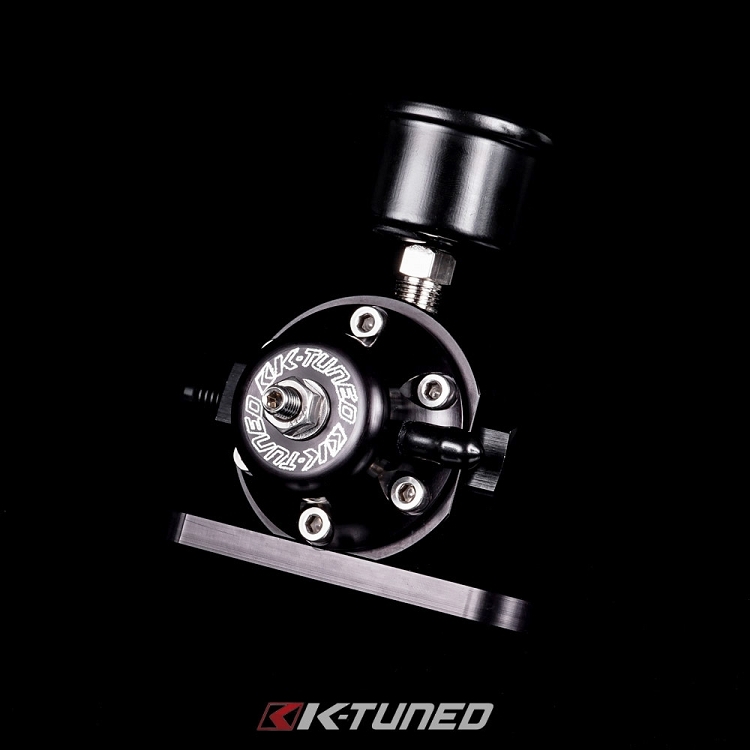 Full billet housing black anodized for a clean look and added durability. 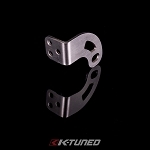 Comes with an adjustable bracket to easily mount it anywhere. 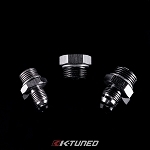 A high quality diaphram is used internally, which is the most important piece. 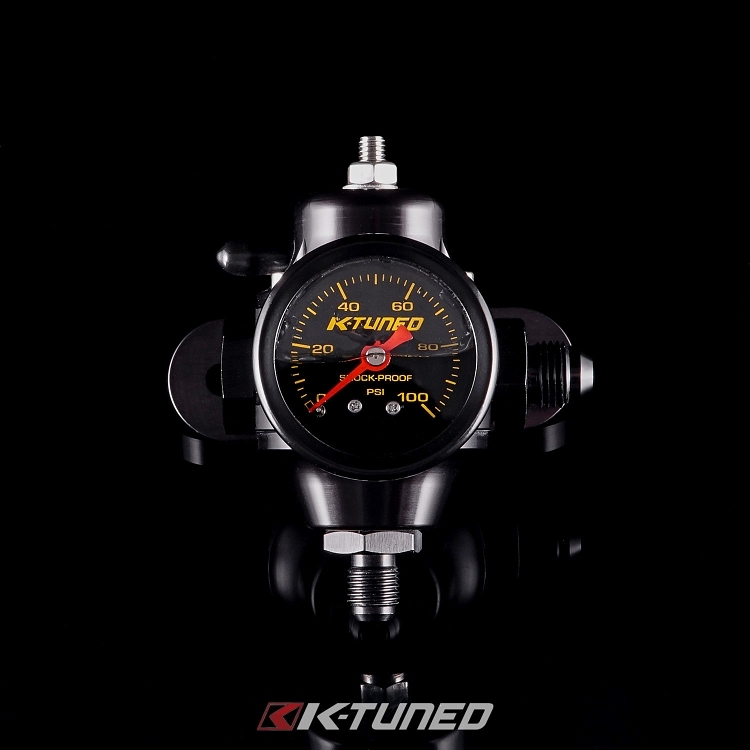 This FPR is reliable and fully adjustable from 30 - 100 psi depending on the fuel pump being used. Feel confident when buying this unit, it is not a cheap off shore made FPR. 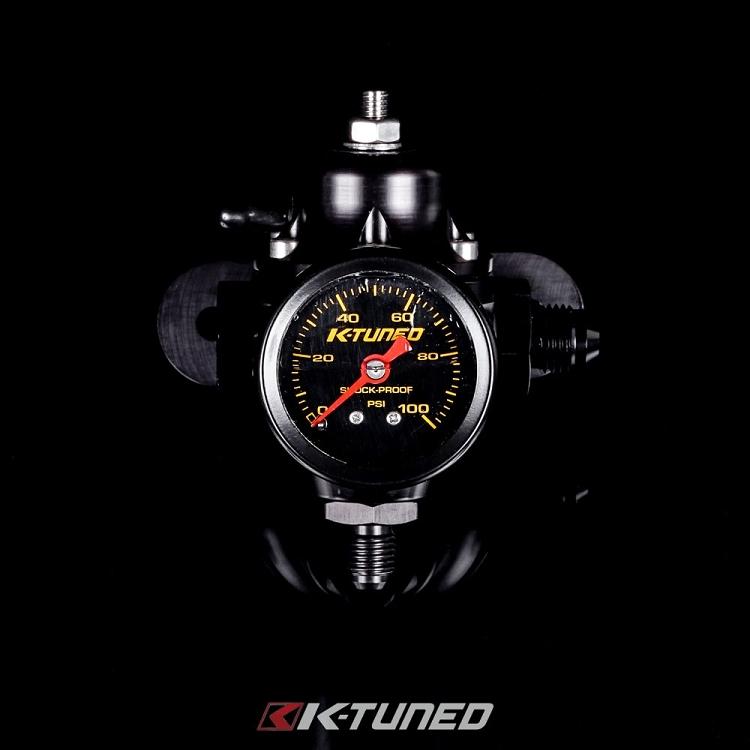 The entire unit is made and assembled by K-Tuned. 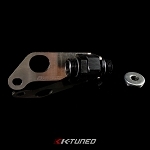 Works with both N/A and Forced induction applications. Inlet and outlet ports are 8AN with a 6AN bottom port. 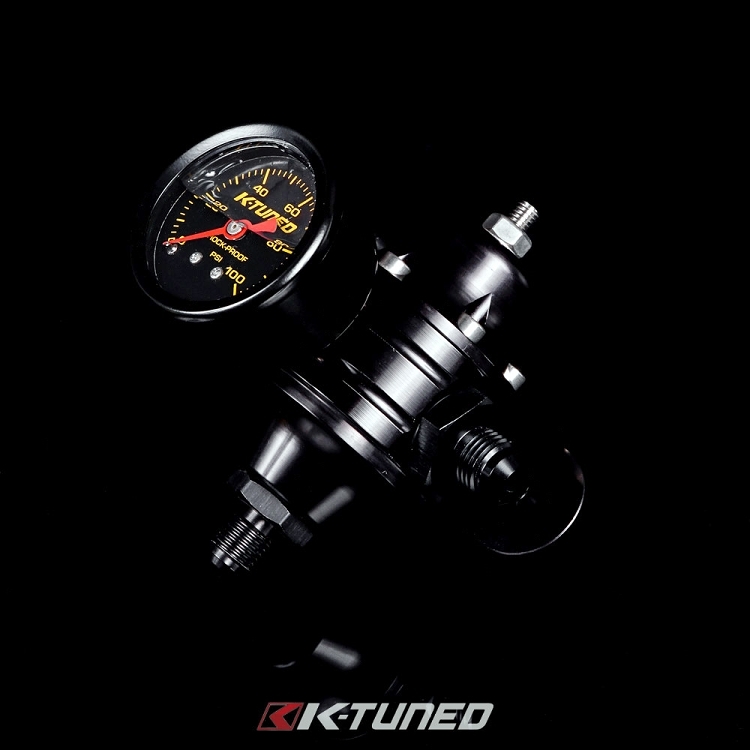 Combo kit includes the FPR, with adjustable mount, fuel gauge and FPR fittings kit (fittings are 6AN inlet, 4AN outlet and plug). All accurately pictured below.